✔️HIGH STRENGTH OLIVE LEAF EXTRACT. 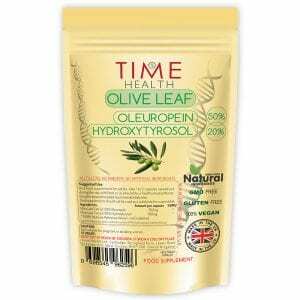 Time Health’s Olive Leaf Extract 50% Oleuropein and 20% Hydroxytyrosol which work in synergy with one another in the body creating this very powerful supplement. ✔️HEALTH BENEFITS. One of the most important elements in olive leaf extract is a compound called oleuropein. When enzymes in the body metabolize oleuropein it provides substantial health promoting benefits, such as helping the body battle bacteria, and fungi. The energy-boosting benefits of olive leaf extract are believed to come from its ability to help fend off fungi, which put stress on the immune system, yeast overgrowth (such as Candida albicans), which cause fatigue. ***Often considered nature’s perfect antioxidant, hydroxytyrosol is a natural phytochemical with some of the highest antioxidant properties discovered to date. Hydroxytyrosol has an ORAC value (Oxygen Radical Absorbance Capacity – its ability to absorb cell-damaging free radicals) of 68,576 – which is considered to be 15 times higher than green tea and 3 times higher than CoQ10. ✔️ HIGH QUALITY & VALUE. Manufactured in the UK to GMP standard with only the finest quality raw materials. Due to our low operating costs, we are able to offer our customers great prices. As a food supplement for adults, take 1-2 capsules spread out during the day with food, or as directed by a healthcare practitioner. Do not exceed the stated recommended daily dose. One of the most important elements in olive leaf extract is a compound called oleuropein. When enzymes in the body metabolize oleuropein it provides substantial health promoting benefits, such as helping the body battle viruses, bacteria, and fungi, supporting healthy cell replacement. The energy-boosting benefits of olive leaf extract are believed to come from its ability to help fend off fungi, which put stress on the immune system, yeast overgrowth (such as Candida albicans), which cause fatigue. Often considered nature’s perfect antioxidant, hydroxytyrosol is one of the key active ingredients in the olive that is largely responsible for the olive’s tremendous health benefits. Hydroxytyrosol is a natural phytochemical with some of the highest antioxidant properties discovered to date. Hydroxytyrosol has an ORAC value (Oxygen Radical Absorbance Capacity – its ability to absorb cell-damaging free radicals) of 68,576 – which is considered to be 15 times higher than green tea and 3 times higher than CoQ10. Oleuropein and Hydroxytyrosol work in synergy with one another in the body creating this very powerful supplement. Important information about our Olive Leaf extract. If you feel under the weather after taking olive leaf extract — headaches, joint pains, flu-like symptoms — you’re likely experiencing the die-off effect. Try increasing your fluid intake, and if the symptoms are too much to handle, decrease your olive leaf dosage to a manageable level. Die-off effect or Jarisch-Herxheimer reaction. While this sounds scary and certainly isn’t fun, this reaction actually is a positive thing — experts believe that this means that the herb is working (although it’s not something that everyone experiences). What happens is, since it’s such a powerful substance, the olive leaf is able to kill off a large amount of harmful microbes in a short amount of time. These dead microorganisms release toxins into the body for removal, which triggers a response from the immune system, temporarily worsening symptoms. Not sure yet, I take these pills only 1 week. Satsified with Olive leaf extract. It's hard to tell if it's working well, - but to me, it really SEEMS to give me more strength! I bought this product for my wife who always has problems with allergies. This time, after an infection in the throat that has not passed with antibiotics, she started taking 2 capsules a day with olive leaf extract. After the 4th day, the first signs of improvement were seen. Excellent product. Love this product especially when combined with the Acerola Cherry Vitamin C. Seems to boost the immune system to where colds and flus are not a concern! Two thumbs Up! 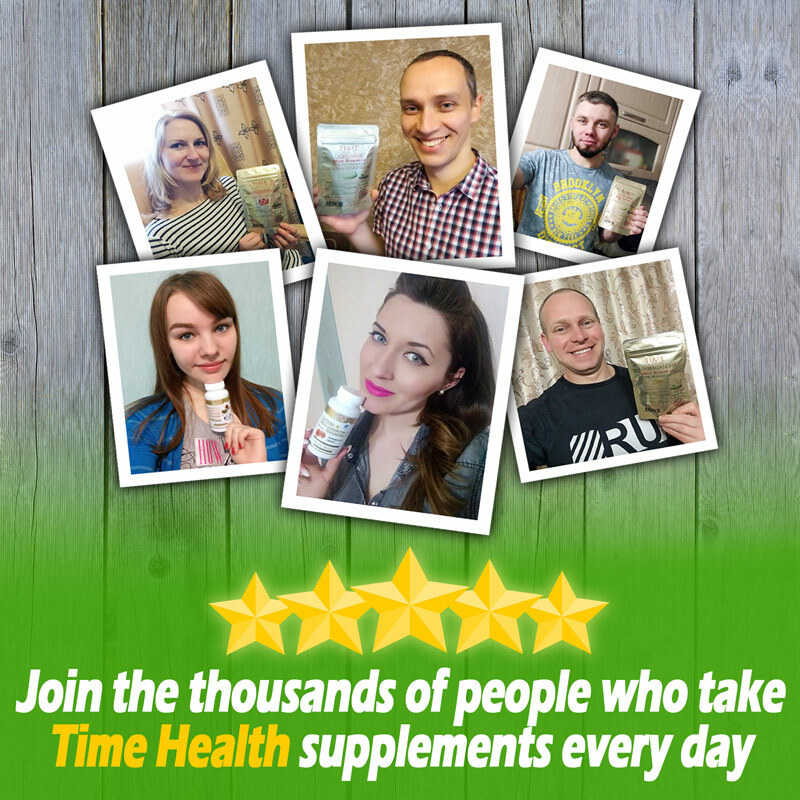 I've been buying this product with Time Health continuously for the past year, and I'm always extremely satisfied. 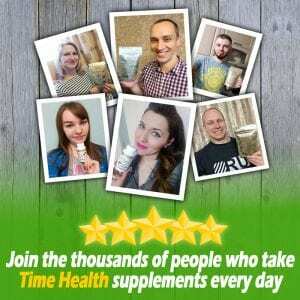 It's an excellent product with great service from a the company too. Many thanks!